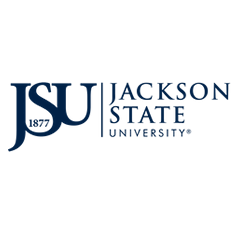 JSU Global’s English as a Second Language Institute (ESLI) delivers high quality and intensive academic English language instruction to international students, via experienced faculty dedicated to innovation and best practices. ESLI provides intensive English language instruction to students wishing to gain a functional command of English in order to prepare for a successful academic or employment experience in the United States and meet the linguistic and cultural challenges of living in an English-speaking environment. It also equips students with the capacities to meet the linguistic challenges of life in an increasingly global society. ESLI offers five eight-week sessions per year. The program has five academic levels and accommodates beginners, intermédiate and advanced level ESLI students. Classes meet daily for a total of 20 hours per week. Students are assigned 2 to 3 hours of homework a night, and assignments include required multimedia and on-line language learning. Instructional assessment is a scaffold of on-going monitoring of student progress and unit tests. Instructors meet regularly to assess student progress. Advisers will be assigned to students for academic advisement and tutoring. iBT TOEFL Preparation courses are offered to advanced level students. Student attendance and grades are recorded, a grade report is given to students at the end of each session as a guideline for advancement, and a certificate is awarded to students for satisfactory completion of the program. The program also offers students opportunities of field learning, volunteerism, and community outreach services.